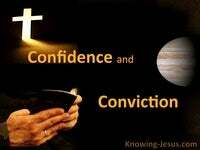 What Does James 2:14 Mean? 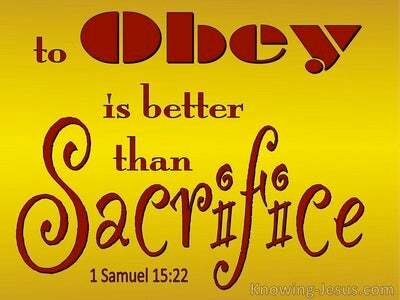 There are no contradictions in the word of God and yet many believers consider this letter of James to be at odds with the teachings of the apostle Paul, for James seems to be basing salvation on works while Paul clearly says that: having be justified by faith we have peace with God. James however, is emphasising that genuine salvation is based on works, which can be observed by man.. while Paul teaches that genuine salvation is based on sincere, heart-faith which can only be see seen by God! 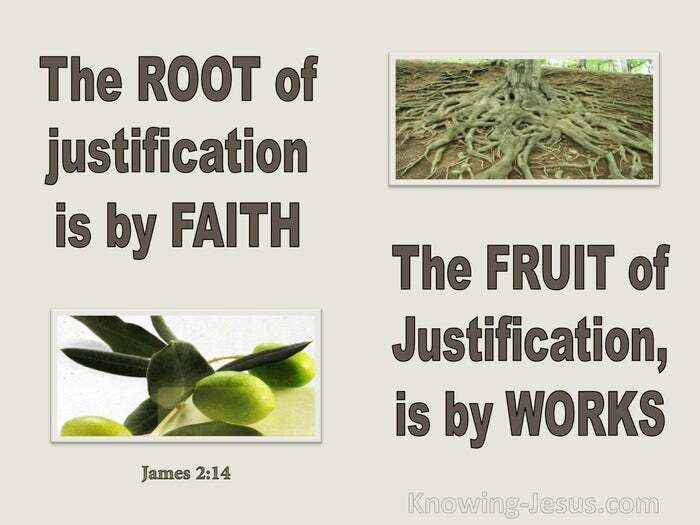 Paul is talking about the ROOT of justification which is justification by faith, while James is talking about the FRUIT of justification, which is by works. Only God can see the heart, so only God can see the root of salvation (faith) but when a Christian is walking in spirit and truth they will produce the fruit of salvation (good works which God has prepared for us to do). 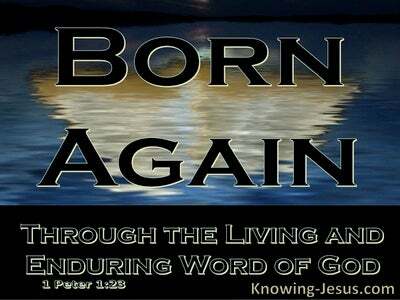 But both the root and the fruit of salvation are only manifested in a man or woman that is a born again believer.. and not in an unsaved person who is professing to believe in Jesus.. or pretending to be a Christian. There is complete and perfect harmony between these apparently conflicting teachings as together they show the relationship between genuine faith and professed faith. The man who makes an outward profession of faith may be a genuine Christian but he could also be putting on an act - alternatively his faith could even be in the wrong object of faith. 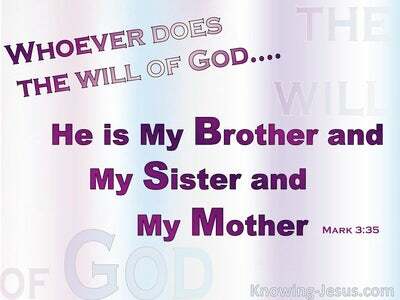 The object of our faith must be the Person and Work of the Lord Jesus Christ, for there is no other name given among men whereby we must be saved. Paul and James are approaching salvation (or saving faith) from two different perspectives (God's and man's). But James is also making a contrast between a true believer and one that only makes an outward profession of faith while not having truly trusted in the one and only object of faith.. which brings salvation to mankind -i.e. 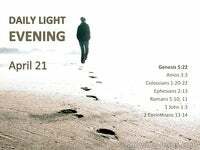 the death burial and resurrection of our Lord Jesus Christ - the eternal Son of God and perfect Son of Man. In this verse James is contrasting someone who HAS faith and is born-again with someone who SAYS he has faith and it not born-again. James is approaching saving faith from man's perspective:- show ME your faith by your works and I will show YOU my faith by my works.. 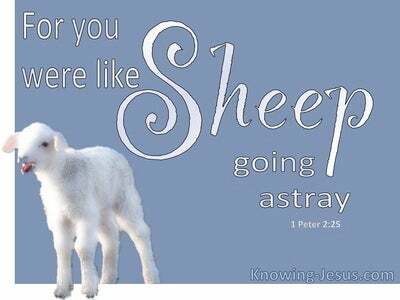 Many Christians take this verse and use it to accuse their brothers or sisters in Christ of not being saved because they can see no outward sign of good works.. but that is distorting the gospel of grace and twisting what James is saying into a form of accusational legalism. 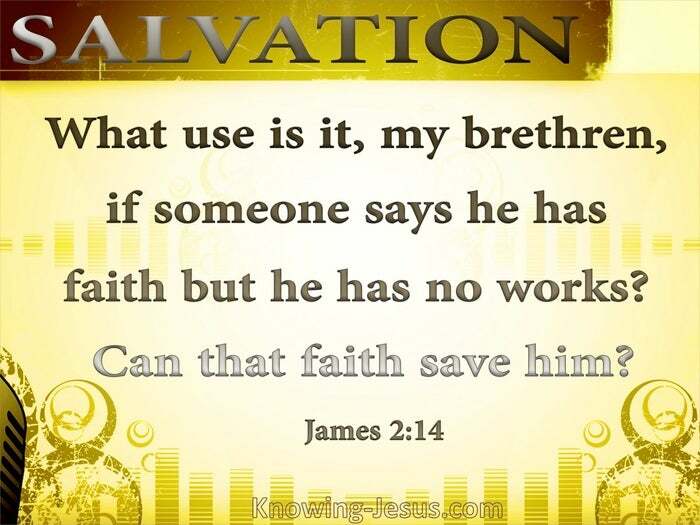 For although the genuine faith of a spiritual believer will indeed be accompanied by good works as James indicates here - a carnal believer may have a genuine saving faith and yet be walking in the flesh and not showing forth any good works in their lives - similar to the carnal Christians that Paul described in 1 Corinthians 3. Genuine faith is visible only to God in the inner heart of a saved man but genuine faith is not visible to other believers, as we cannot see into the heart of one another. Only the fruit of saving faith can be demonstrated through the good deeds that are carried out to the glory of God by the spiritual Christian who is walking is spirit and truth - and we are encouraged to walk day by day in spirit and truth, so that we will produce fruit, much fruit and more fruit to the glory of God.